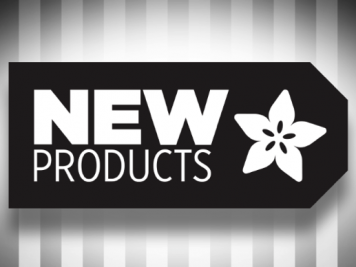 NEW PRODUCTS – Raw Jumper Wires & Wire Housing Packs « Adafruit Industries – Makers, hackers, artists, designers and engineers! 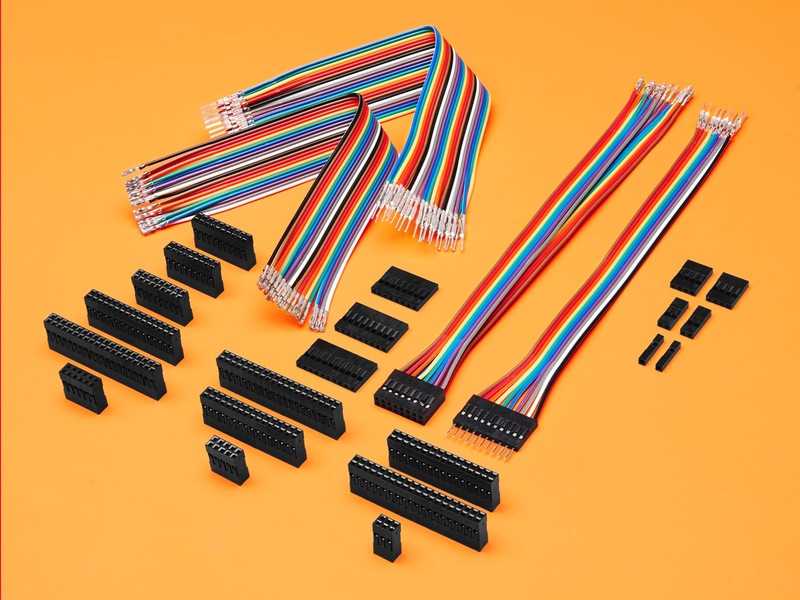 Our Raw Male/Male and Female/Female Jumper Wires paired with any of our Wire Housing Packs are perfect for making a custom jumper wire sets for wire harnesses or jumpering between headers on PCB’s. 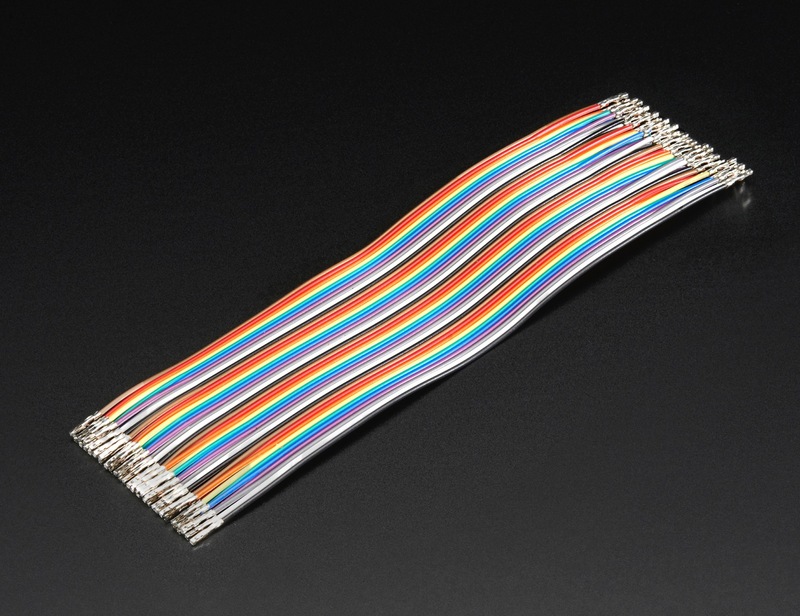 These premium jumpers are a little over 6″ (150mm) long and come in a ‘strip’ of 40 (4 pieces of each of the ten colors). 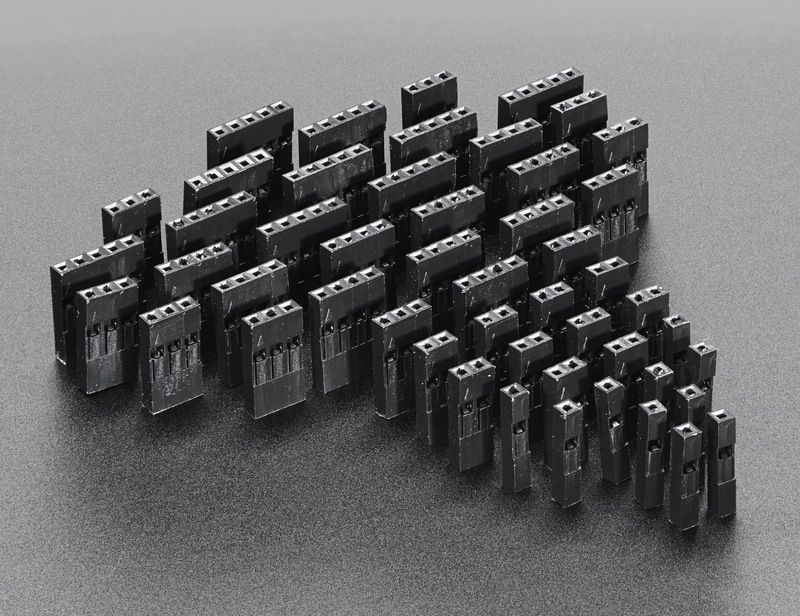 The 0.1″ raw sockets on either end are designed to be custom fitted with your choice of housing blocks to meet your prototyping needs. You can always pull the ribbon wires off to make individual jumpers, or keep them together to make neatly organized wire harnesses. 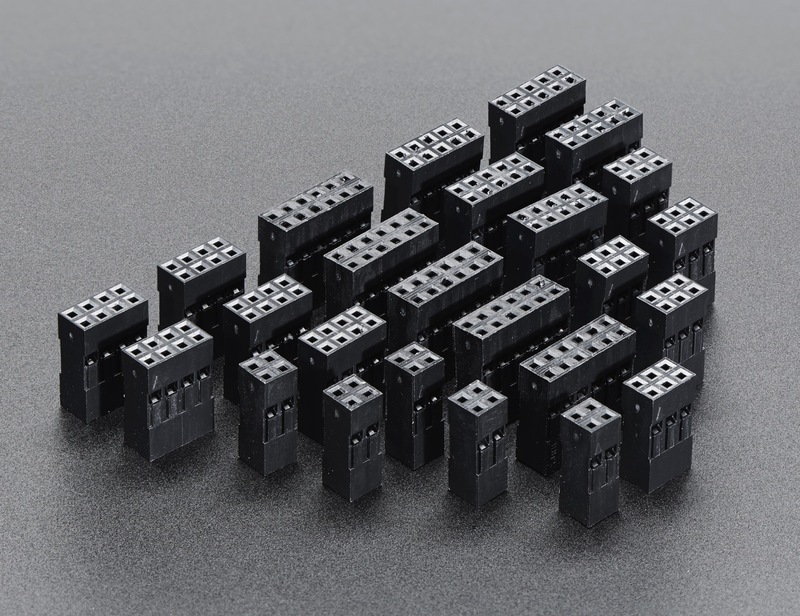 If you’re looking to set up an extending connection we suggest combining our F/F Raw jumpers with some extra-long break-away header pins. 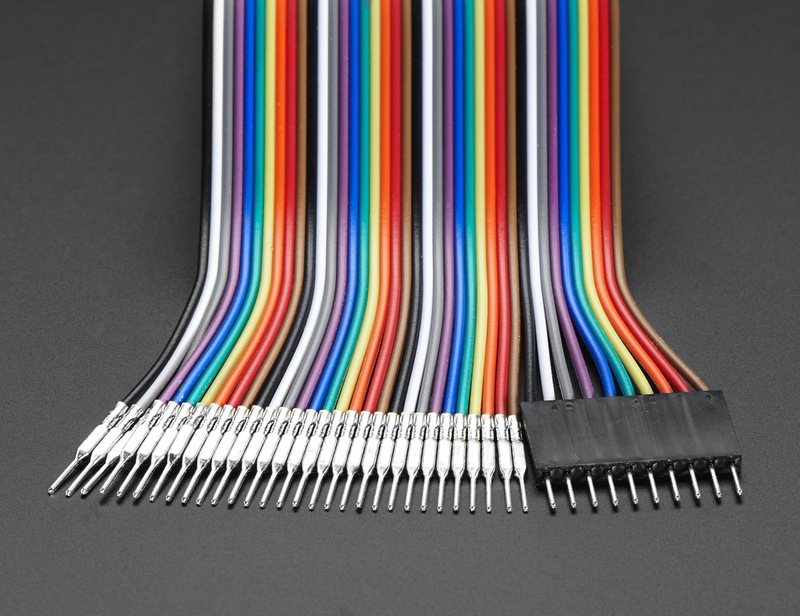 Add the pins to one end to turn the cables into female-male jumpers!